"Yellow is any color of light that stimulates both the red and green cone cells of the retina, but not the blue cone cells. Light with a wavelength of 565-590 nanometers is yellow, though light with both red frequencies and green frequencies, such as mixing orange and lime light, or red and green light, is also yellow, and its scientifically defined complementary color in terms of color mixing using light is blue." 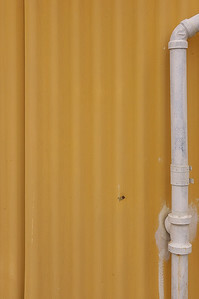 In the English language, yellow has traditionally been associated with jaundice and cowardice. In American slang, a coward is said to be "yellowbellied" or "yellow." Near the end of the 18th century, the color yellow was often associated with mental illness, specifically including insanity, and with other sorts of mental problems (e.g. depravity). Examples include The Yellow Book, The Yellow Wallpaper, The King in Yellow, and The Yellow Sign. 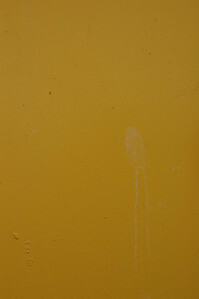 In China, yellow is associated with prosperity, and also a "Yellow Movie" means a pornographic film; contrast "blue movie". Because it is similar to the gold color and precious metals such as gold or bronze, yellow is associated with coinage and bullion. "Yellow journalism" was sensationalist journalism that distorts, exaggerates, or exploits news to maximize profit. The term came from Joseph Pulitzer's New York World and William Randolph Hearst's New York Journal American, who engaged in sensational reporting during the late 19th and early 20th century, most famously during the Spanish-American War. The term was derived from the color comic strip The Yellow Kid, which appeared in both papers. 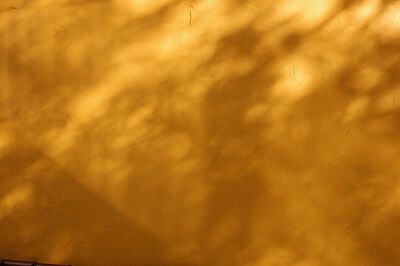 In ancient China, yellow was the symbol of Centre and Earth, one of the main five colors. As such, yellow was the symbol for the Emperor of China. Pencils are painted yellow because of this association with China, where the best graphite is found; in the past, only pencils with Chinese graphite used to be painted yellow. Yellow also symbolizes royalty in many cultures, including much of southeast Asia. In China, commoners were not allowed to wear yellow until modern times. Asians and people of Asian descent are sometimes referred to as "yellow," a racial color metaphor. In the 20th-century United States, immigrants from China and other East Asian nations were derogatorily referred to as a "yellow peril." n some countries, taxicabs are commonly yellow. This practice began in Chicago, where taxi entrepreneur John Hertz painted his taxis yellow based on a University of Chicago study alleging that yellow is the color most easily seen at a distance. In Canada and the United States, school buses are almost uniformly painted a yellow color (often referred to as "school bus yellow") for purposes of visibility and safety, and British bus operators such as FirstGroup plc are attempting to introduce the concept there. The Yellow Pages is the section of a phone book or online phone directory that lists business numbers by category. They are named for the color paper they are printed on in phone books to distinguish them from the regular listings. There is a yellow smile, in Arab culture, which is an ingenuine smile. A yellow smile is used when a person is concealing lack of interest, fear, or any emotion he wishes to keep hidden. It is sometimes used as a joke, by making a face of a crooked, ingenuine smile, when somebody tells a bad joke or is trying to make others laugh for something they do not find humorous enough. There is also a French expression "rire jaune" ("yellow laughter") which could be translated into English as "mirthless laughter", laughing without mirth, laughing when you don't find the joke funny, or when the joke is directed at you. "Yellow", or "giallo", in Italy, refers to mystery books, mystery movies, or tv shows, as the spine of mystery novels are colored yellow. On the United States Army and in many commonwealth countries, yellow is the color of cavalry - cavalry uniforms often include a yellow stripe down the side of each leg.